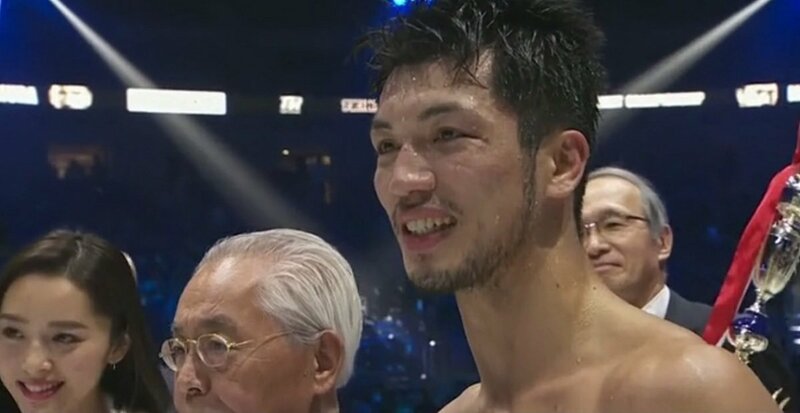 With his first defense of his WBA ‘regular’ middleweight title successfully out of the way after stopping 38-year-old Italian Emanuele Blandamura (27-3, 5 KOs) in the 8th round last Sunday, Ryota Murata (14-1, 11 KOs) is now targeting IBF/IBO/WBA/WBC middleweight champion Gennady ‘GGG’ Golovkin (37-0-1, 33 KOs) for a unification fight later this year. That’s the fight that the 32-year-old Murata and his promoter Bob Arum of Top Rank both want. Arum even favors the 6’0” Murata to defeat Golovkin. But before that fight takes place, Arum plans on having Murata defend his title against Esquiva Falcao (20-0, 14 KOs) in a rematch in the summer. Murata beat Falcao by a close 14-13 decision in the 2012 Olympic finals in London, England. The victory for Murata didn’t sit so well with a lot of the boxing fans that saw the fight worldwide. They felt that Falcao should have won. For Top Rank to allow Murata to fight Falcao in a rematch, it tells you that they believe that he can absolutely win the fight. This fight won’t be in Japan or England though. It’s going to be taking place in Las Vegas. Arum wants to turn Murata into a star in the U.S like he is in Japan. A better way for Top Rank to build Murata into a star would be for them to match him against talented contenders that are well-known in the U.S like Jermall Charlo, Jermell Charlo, Daniel Jacobs, Sergiy Derevyanchenko and Demetrius Andrade rather than having him defending against no name fighters like Blandamura, 38, and Falcao. The way that Murata I being matched by Top Rank and Teiken Promotions, it looks like he’s being steered in the direction of safe fights rather than against the more talented fighters in the middleweight division. Golovkin’s promoter Tom Loeffler has been mentioning wanting to make a fight between GGG and Murata. You can believe that fight will take place soon, but it probably won’t take place this year. The Golovkin-Murata fight can happen in September if Saul Canelo Alvarez receives a lengthy 1-year suspension when he meets with the Nevada State Athletic Commission on Wednesday. The Commission will be meeting with Canelo to finish their investigation on his two positive tests for clenbuterol. If Canelo receives a 1-year suspension that is reduced to six months, then Golovkin will fight him in September. If the suspension is 1-year without it being reduced, then Golovkin face someone else in September. The Murata vs. Blandamura fight brought in tremendous ratings in Japan last weekend, even though it wasn’t a great match-up. According to Arum, the Murata-Blandamura fight averaged between 15 and 17 million viewers in Japan. ”Telecast of Ryota Murata middleweight championship fight in Yokohama did 15 million viewers for live telecast in japan and peaked at 17 million. WOW,” Arum said on his social media in raving about the ratings for the Murata-Blandamura fight. Murata knocked Blandamura (27-3, 5 KOs) down with a hard right hand in the 8th round last Sunday at the Yokohama Arena in Yokohama, Japan. The referee then stopped the fight at that point without bothering to give a count. The fight was stopped at 2:56 of the 8th. Murata looked good in winning, but he had an opponent that looked leagues below the top fighters in the middleweight division. You’ve got to give Murata’s promoters credit for doing a good job of finding Blandamura for their fighter to defend against last weekend, but it wasn’t a great fight. It looked like a mismatch.